We will make you happy throught the day. 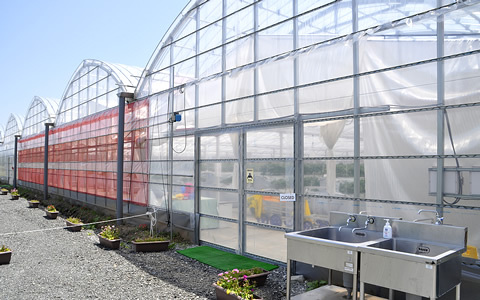 The farm are equipped with barrier-free facilities so that it can be available to persons with disabilities or elderly. 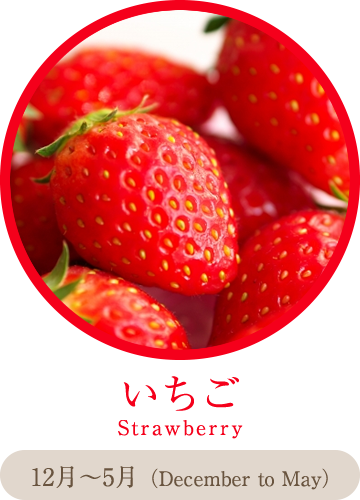 You can take strawberry remained of a wheelchair. 1795-3 Okubo Chikuzenmachi Asakura-gun Fukuoka 8380825 Japan. 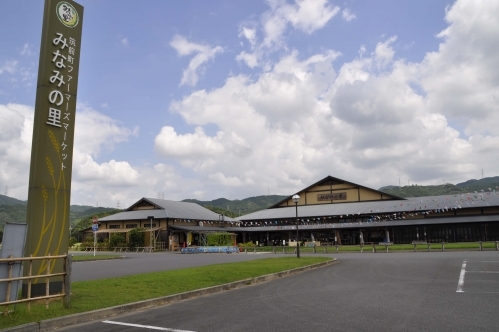 Admission Fee ( 60 minutes all-you-can-eat)10：00～12：00 Reservation only / 13:00～16:00 First come first served basis . It will end as soon as fruit is gone. 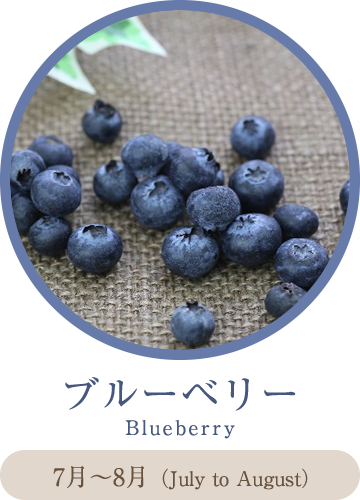 There are varieties that can not be eaten depending on the growth situation and time. 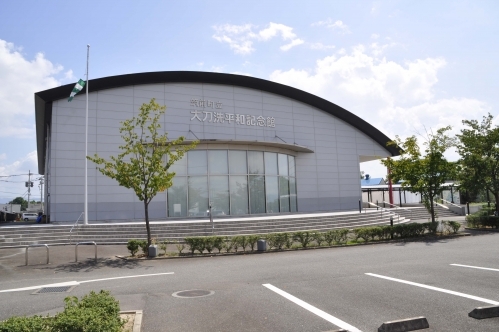 It is the memorial hall of the Japan Army Tachiarai flying school which was the training base of "Kamikaze" special attack unit during World War II. "ZERO Fighter" displaying in this hall. 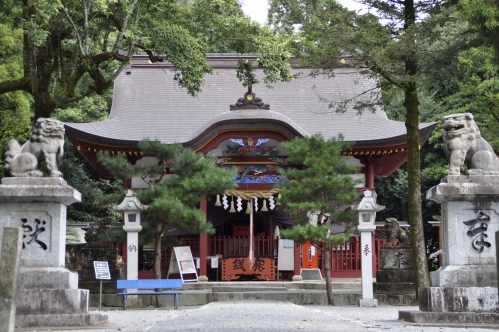 One of the Shinto shrines which are the oldest in our country. It is engraved into the torii with "Oga great gracious god" and is considered to be the origin of the name of former Miwamachi. Dai koku festival is carried out every year on February 11. In the facilities which restored the farm village scenery of 1940, You can enjoy a BBQ using a thatched farmyard point. There are an iron plate, drum cooker, the wire netting for rental. You bring in a tool, tableware and favorite food. "Chikushi-Jiro" is a nickname of the Chikugo River which acts violently. 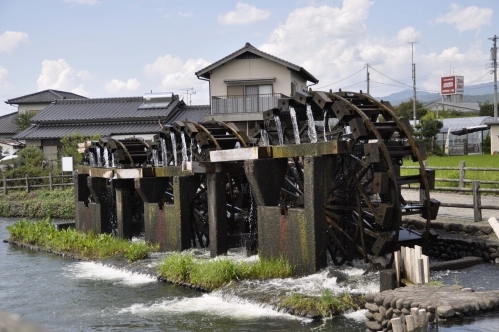 The triple water wheels playing an active part regularly is rare nationwide. It is a crystal of the wisdom of the people who continued a fight with nature power. 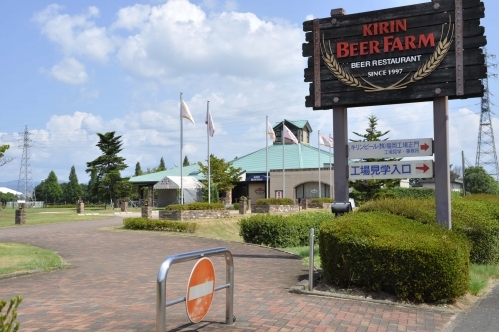 It is Kirin Brewery Fukuoka factory reach ing the operation 50th anniversary. How about the beer which is delicious in a giraffe beer farm after tour of the plant and the meal? The spring poppy and autumn cosmos Festa are great turnout every year. 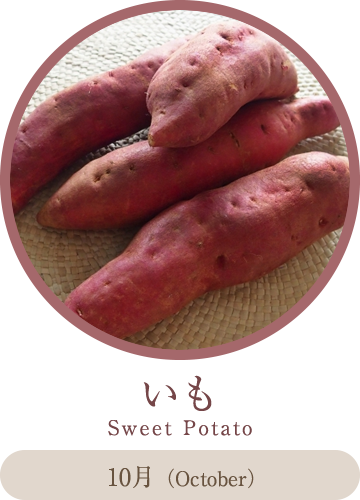 They are selling the various vegetables which are harvest in the morning and processed products made from raw vegetables materials of Chikuzenmachi. 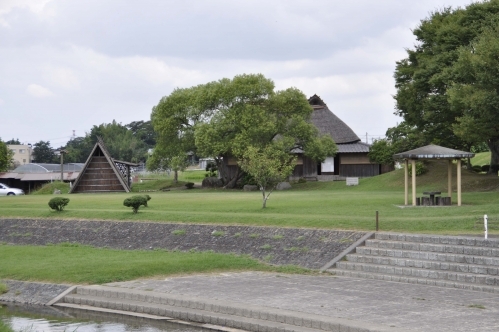 Besides, as for the "Kamado Daki" rice to cook with the firewood in the farmhouse restaurant by the next door is great popu larity and free to do a substitute. Copyright(C) 2016 - 2019 HANATATEYAMA FARM All rights Reserved.